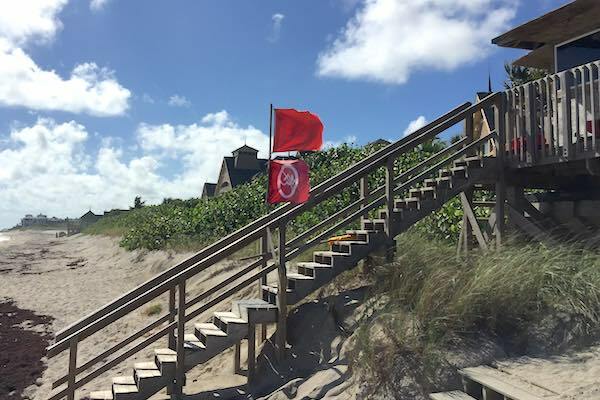 Sebastian Inlet Red Tide update in Sebastian, Florida. 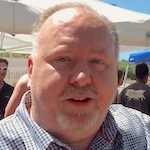 SEBASTIAN – While homeowners and beachgoers are experiencing health problems near Wabasso and John’s Island, officials are slow to admit that Red Tide is in Indian River County. Part of the reason is that the state and county officials have to test water samples, which can take up to two days. Red Tide has been noticeable in most areas of Indian River County’s coastline since Monday with its distinct red murky color, signs of respiratory problems, dead fish, and lifeguards wearing masks. 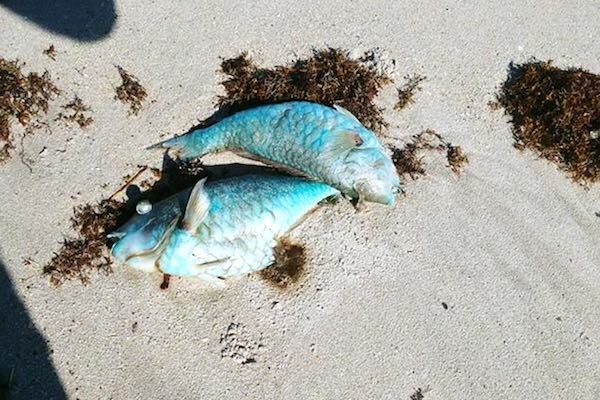 Dead fish caused by Red Tide north of Barber Bridge in Vero Beach, Florida. Wabasso Beach closed due to Red Tide. Red Tide sign posted at Wabasso Beach. However, up at the Sebastian Inlet, things are looking normal. 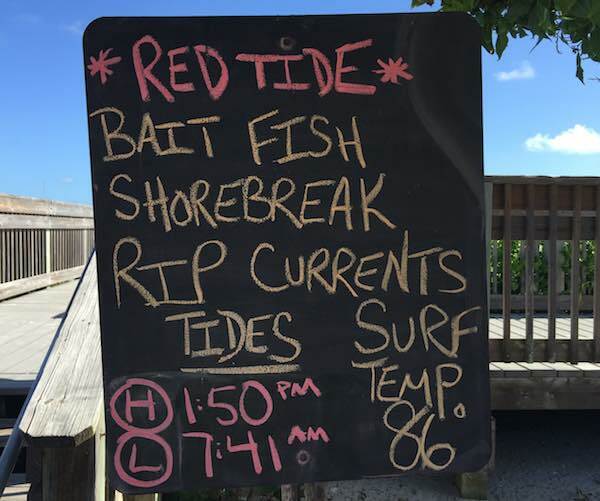 “No one is complaining today of any respiratory issues or symptoms of Red Tide,” a park ranger told Sebastian Daily. “But it’s coming, it’s only a matter of time before we see it here,” the park ranger added. 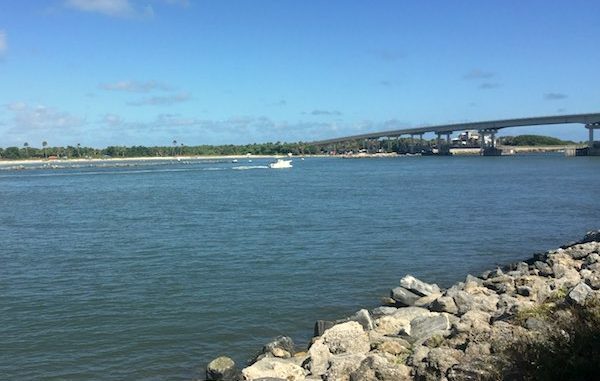 Some fishermen say Red Tide won’t be that bad in the Indian River Lagoon. “Some of it will make it’s way into the Lagoon,” Pete Hinck, who runs the Palm Beach Pete YouTube channel, told Sebastian Daily. Hinck believes that it won’t be as bad as the West Coast. As of right now, it does not seem to be safe to use the beaches in Wabasso, and Vero Beach. The Wabasso beach is closed as of today. Hopefully, this will be a short-term issue. Environmentalists are still very worried about the impact Red Tide could have on our local wildlife, such as dolphins, turtles, manatees, and fish. We will continue to report updates.